It’s time to gather your kids around the TV this fall for a new twist on the retro visual style of classic Rankin/Bass seasonal favorites, as Nickelodeon will debut a new stop-motion Halloween-themed special, SpongeBob SquarePants: The Legend of Boo-Kini Bottom, and our first official sneak peek was unveiled at this past weekend’s San Diego Comic-Con (SDCC). 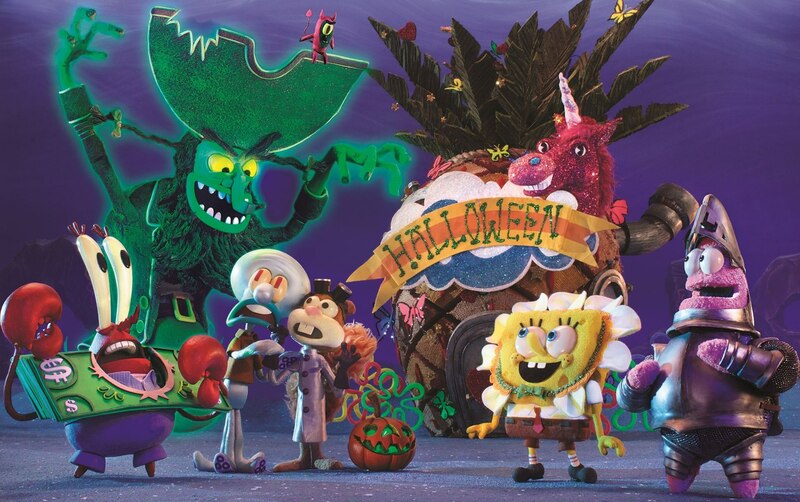 As previously reported, Nickelodeon will take viewers on a spooky Halloween adventure throughout Bikini Bottom with the brand-new, stop-motion special, SpongeBob SquarePants: The Legend of Boo-Kini Bottom. In the visual style of classic stop-motion animation TV specials, The Legend of Boo-Kini Bottom tells the story of the Flying Dutchman (Brian Doyle Murray) who wants to make sure everyone in town is scared, especially SpongeBob, who thinks scary things are funny. The special will premiere in October 2017 on Nickelodeon. Check out the SDCC first look sneak peek at SpongeBob SquarePants: The Legend of Boo-Kini Bottom below!